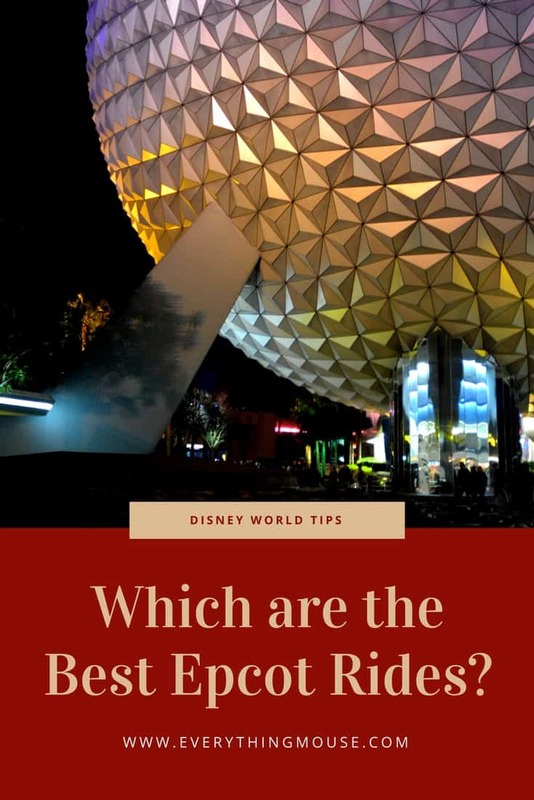 / Rides at Epcot – Which Are the Best? 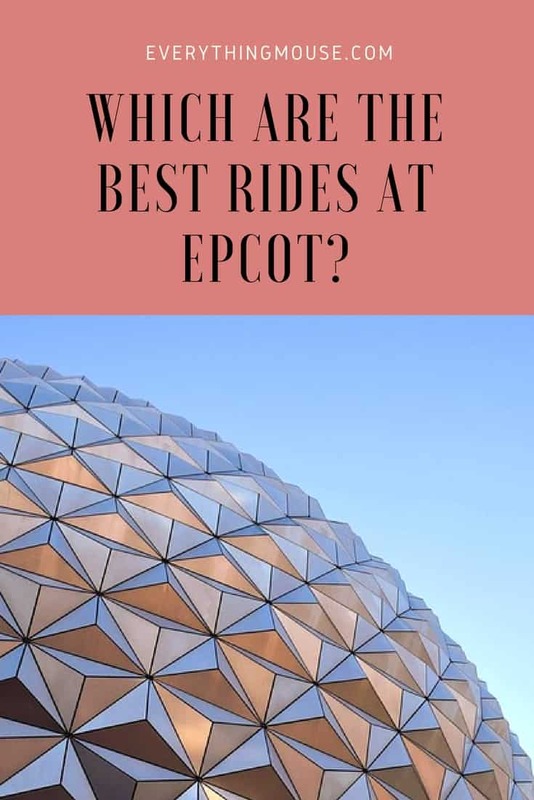 Rides at Epcot – Which Are the Best? 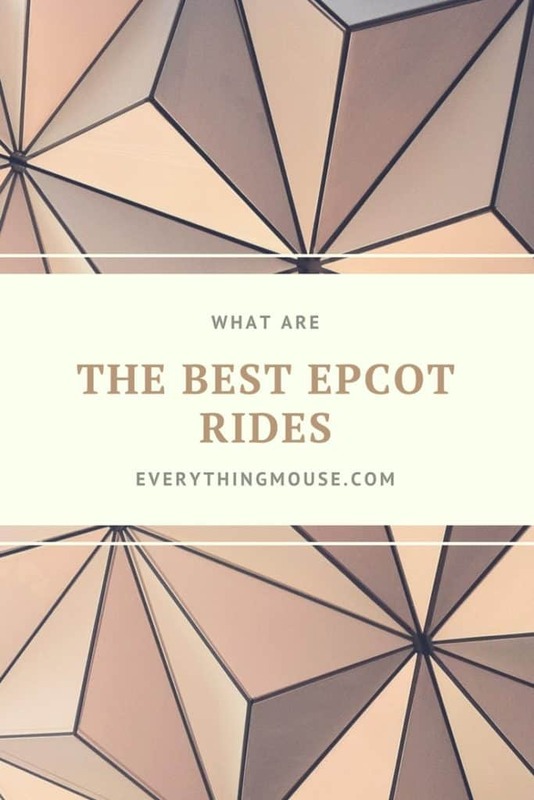 What are the best rides at Epcot? 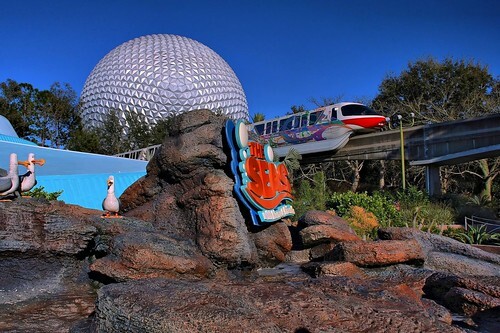 Walt Disney World has done a lot in recent years to expand the choice of rides at Epcot. This Disney park is probably the most misunderstood of any of the four theme parks. Each of the others has a strong idea related to it. 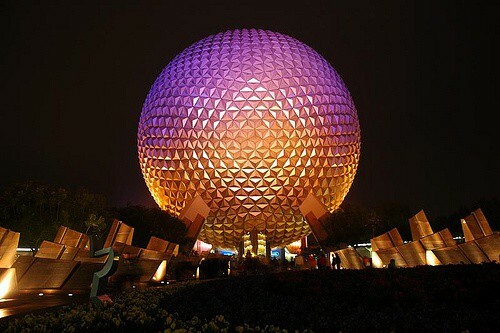 However, Epcot has often, but unfairly, been seen as the one which is just a little difficult to define. 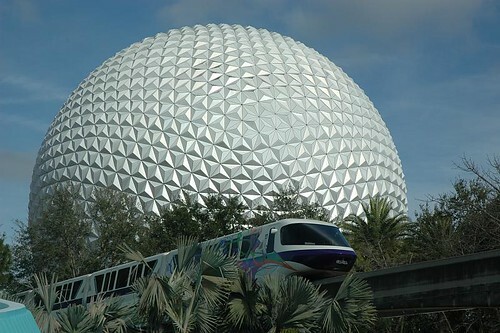 Sure, we know Epcot was based on Walt Disney’s idea of the Experimental Prototype Community of Tomorrow. However, somehow the fact that Epcot has some excellent rides and attractions gets a little mixed up along the way. 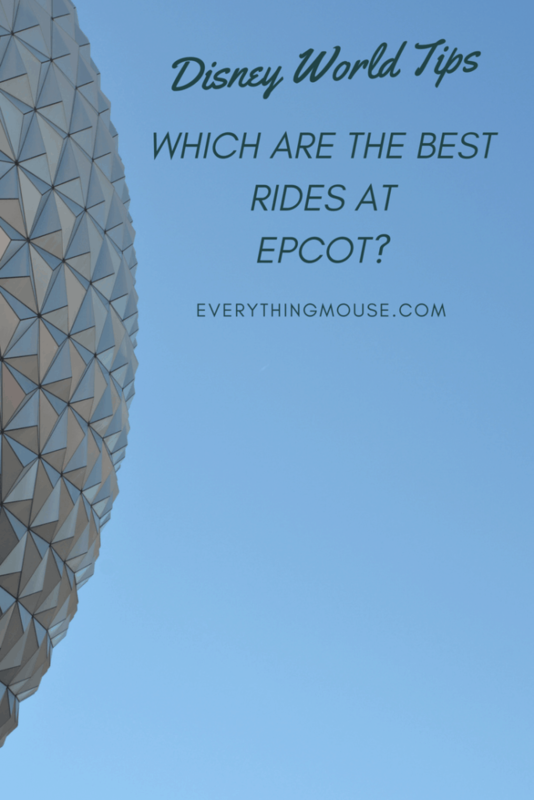 What Are the Rides at Epcot? One of the most innovative, expensive and technologically advanced rides at Epcot, Test Track is also one of the most popular. For good reason. 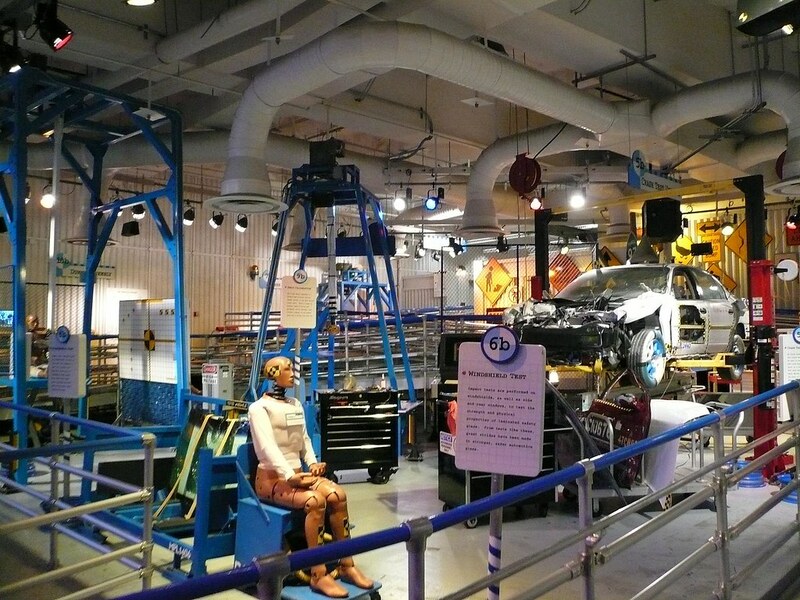 This thrilling Disney Test Track ride has at its theme the concept of a vehicle test facility. Epcot Test Track will have you test driving anti lock breaks, speeding around tight corners, collision aversion manoeuvres, and then accelerate you to 65 miles an hour. Epcot Test Track is a great ride for everyone in the family – well those over 40″ high anyway. For more details and a video go to Epcot Test Track. Take a look at the features in the line – it is one of the most entertaining in Epcot. You will be spending quite a bit of time in there so you may as well look at the details! Always get a Fast Pass if you can as Epcot Test Track is one of the most popular attractions in the park. Best times to ride Epcot Test Track are early in the morning at rope drop and later in the evening as the park is about to close. This Epcot ride made it’s debut in Disneyland California and has been a big hit in Disney World since making it to Florida on May 5th 2005. This 4 minute 40 second simulated Soarin” Over The World flight ride takes guests over the amazing sights of the World including The Great Wall of China, Sydney Harbor, The Taj Mahal and Iguazu Falls in South America. 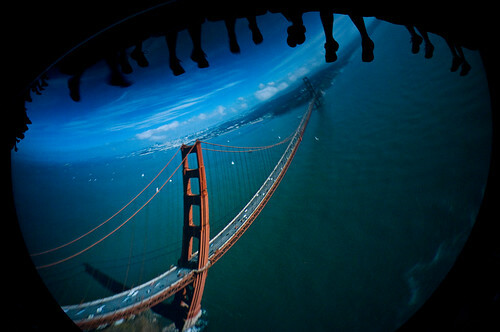 The ride used to have a movie Soarin’ Over California which originally debuted in Disney’s California Adventure Park. However, both the Florida and California version were updated to include the new movie Soarin’ Around the World. This is such a huge improvement on the Soarin’ Over California version. We always loved the original, but they have certainly improved on this Disney classic. The only thing which is slightly disturbing is the image of the Eiffel Tower in Paris. We have been there and we know that it really doesn’t curve like that! The reason for this is something technical to do with the filming process. We don’t get it, but just ignore the fact that the Eiffel Tower looks like it is curved and you are going to enjoy this Epcot ride a whole lot! Even though this is a simulated flight it is not a flight simulator! It is an entirely different concept with a ride mechanism which actually takes guests up into the air on a row of seats. You are safely strapped into your seat and then you ‘fly’ upwards into the air in front of a giant IMAX screen. There are 3 rows of seats and as your feet dangle in the air, the best view is on row 1 as your line of vision doesn’t have someone’s feet in it. I always have difficulty actually explaining this ride to people before they ride on it. The best thing is just to experience Soarin’ Over The World for yourself. This is one of those must do rides at Walt Disney World. There really isn’t anything like it at any other theme park. Epcot’s Soarin’ is truly a Disney original. The height requirement is 40″ and young children do get an extra safety strap. Try and get a Fast Pass for this ride as lines up to 120 minutes are not unheard of. Either ride Soarin’ or Test Track as soon as you arrive at Epcot and get a Fast Pass for the other attraction. These are the best rides at Epcot. 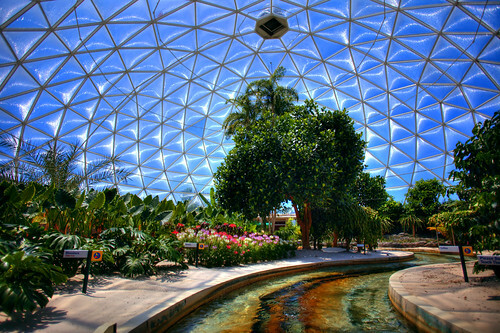 This attraction is housed in The Land Pavilion with Soarin’. That is where the similarity ends. This is unfortunately now very much a secondary attraction which can be missed if time does not permit. This used to be one of my favorite attractions, but now it just seems so dated. However, if lines are not too long then it is still worth experiencing. Also, if you just want a break from the noise and crowds of the Disney theme parks, this is a very relaxing Epcot ride. You will board a slow-moving boat which will take you though an educational journey about advances in agricultural technology. Sounding great so far? Actually it is a lot better than that basic description suggests as it is interesting to see the aquaculture farming, the upside down tomato plants and the innovative ways of increasing food production. Sounds dull? Some people think it is, but we think it is worth experiencing at least once. It is not one of the best rides at Epcot, so if the line is long you can skip it. Living With the Land is a 14 minute gentle boat ride and you may just learn something along the way. However, Living With the Land is one of those Disney rides which really need an update. We hope that they update Living With The Land rather than close it down as they sometimes do with the older attractions. You can see all of your favorite characters from the Finding Nemo movie on this gentle Epcot ride. Launched in 2007 The Seas with Nemo and Friends appeals to all ages. Guests board a slow-moving clamobile and glide past the 5.7 million gallon aquarium which appears to feature Nemo and his friends. The technology on The Seas with Nemo and Friends is amazing and the effect combines animation with the real creatures of the sea in the huge aquarium. It is a secondary attraction, but we still think it is worth your time. However, if the line is longer than 30 minutes you may want to skip it. Fortunately the line for Nemo and Friends is all inside. Therefore, it can be a welcome escape from the Florida heat at the height of the summer. There is no height requirement for The Seas with Nemo and Friends and this is definitely a feel good attraction for every member of the family. This is of course the most recognizable ride at Epcot. At 180 feet high the iconic Spaceship Earth ride can be seen for miles around. The geodesic silver dome of Spaceship Earth takes guests on a journey through time – from the beginning of mankind to present times. This 13 minute Epcot ride travels inside the dome in slow-moving vehicles which pass animatronic scenes through the ages. Describing it isn’t easy – believe me it is better than it sounds! Space Ship Earth is definitely an Epcot attraction which has to be experienced at least once. The usual ‘traffic’ pattern for Spaceship Earth is that guests ride it as soon as they enter the park. It is right there at the front of the park and so it is tempting to do that. However, if the wait time is over 20 minutes long then think again. Try and ride it later in the day before you go into World Showcase when the lines are usually much shorter. This is the only ride at Disney World, and possibly anywhere, to provide motion sickness bags for guests! This gives you an idea of why this Epcot ride is not quite as popular as Disney had hoped. It is a motion simulator ride which speculates about what an astronaut may experience on a journey to Mars. Obviously, this requires quite a stretch of the imagination, but it is well worth trying this Epcot ride. There are 4 riders in each vehicle and everyone is assigned their own role (i.e potential buttons to press when instructed) either Commander, Navigator, Pilot or Engineer. The ride vehicle is small and if you are prone to motion sickness or claustrophobia this is a ride where you really should observe the warnings. Riders experience up to 2.5 G Force. We remember that when this ride first opened it was hailed as the next big thing in ride technology. Unfortunately it was a little too much for many riders and it is one of the least popular in the Epcot park. Epcot Mission Space is a highly intense and very unique ride. It is certainly one of the most thrilling Disney World rides. But for many it was a little too much which is why Disney opened a second non motion version of the ride. This is also quite a lot of fun and does not have the G Force of the main attraction so is suitable for more people. If you do not like enclosed spaces though avoid Mission Space. There is not that much space in the capsule! 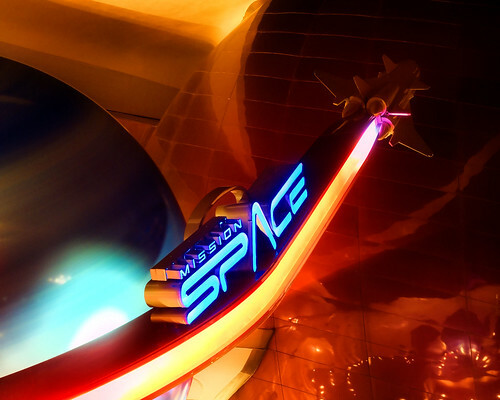 Mission Space rarely has long lines, particularly for the motion simulator version so no particular tactics are needed to avoid the lines. 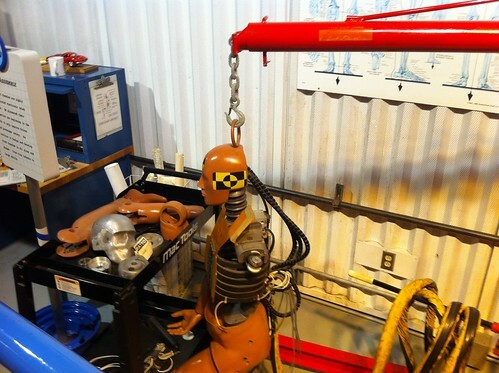 This is one of the older Epcot rides and is found in The Imagination Pavilion in Future World. 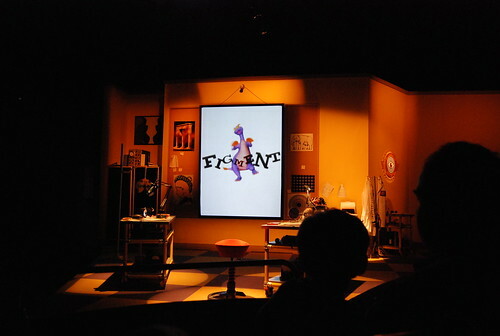 This somewhat mediocre ride has the theme of how our imaginations play tricks on us and features the lovable Figment the Dragon as our guide. Guests board a vehicle which slowly takes them through various scenes of our senses. It is suitable for all ages but some parts are dark, noisy and contain just a few surprises. If you are short on time this is one you can safely skip. There are only a couple of rides in Epcot World Showcase but they are both definitely worth experiencing. 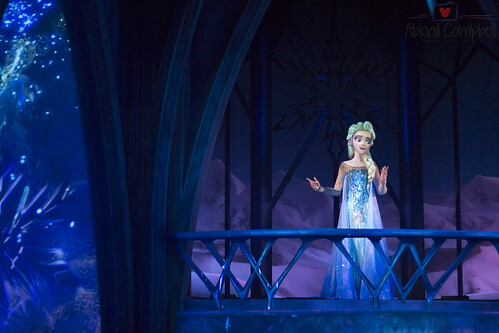 Frozen Ever After is the newest ride in Epcot. It replaced the Maelstrom ride in the Norway Pavilion of World Showcase. As you can imagine, Frozen Ever After is a phenomenally popular ride. Think, the most popular ride you can imagine. Then double that. Those guests who ever experience Maelstrom will recognize that the basic structure of the boat ride has changed very little for this Frozen themed ride in Epcot. It has been completely overtaken by the Disney Frozen theme though. Frozen Ever After is a boat ride with some small drops. There is a 28 foot drop close to the end which some may find a little bit scary. Always get a Fast Pass. Lines aren’t as bad as they used to be, but can still often be around 2 hours. You really don’t want to be waiting in Arendelle for that long. Read our guide to getting difficult Fast Pass Reservations. 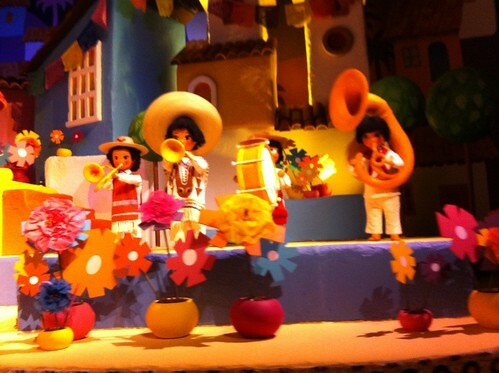 This is a gentle and relaxing ride housed inside the Mexico World Showcase Pavilion at Epcot which is loosely based around the 1944 movie The Three Cabelleros which featured Donald Duck. This 7 minute ride sails past the San Angel Inn Restaurante and into the history and landscape of Mexico. This Epcot ride is a lot of fun and is suitable for all ages. As you will see it is perhaps rather unfair that Epcot is sometimes thought of as not having a large selection of rides. 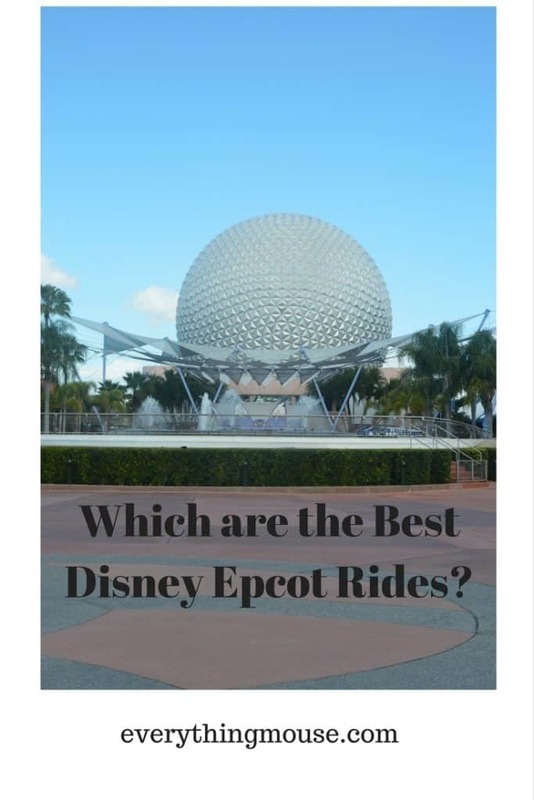 In fact Epcot has some of the best and most popular rides in Walt Disney World. Which one is your favorite?